Ken Lowe may have discovered the perfect marriage for discriminating palates with a taste for technological gadgetry: the Sushicam. 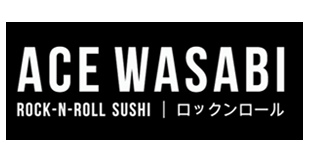 Far from being edible, the Sushicam is a video camera that offers intrepid Internet surfers a peek at the action at Ace Wasabi Rock ‘n’ Roll Sushi, Mr. Lowe’s popular 18-month-old restaurant. While the prospect of watching others eat raw fish may not send everyone running to the computer, patrons at Ace Wasabi crowd in front of the camera to broadcast messages to friends who couldn’t make the trip. 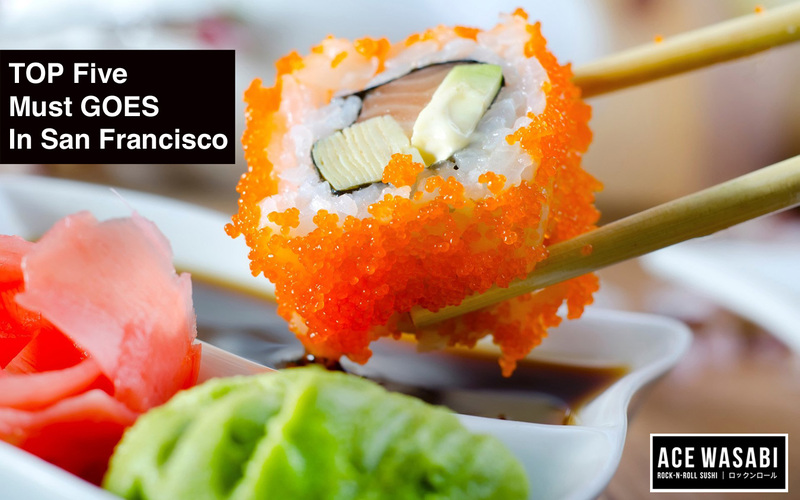 Gimmicks aside, the food and atmosphere have been drawing hordes of young, style-conscious San Franciscans to Ace Wasabi in the trendy Marina district. The restaurant is a far cry from traditional sushi establishments: diners sit on bar stools at high tables while Miles Davis, the Beatles and the Red Hot Chili Peppers pour out of the sound system. At happy hour, there’s bingo with free sushi for the winners, and later in the evening, bartenders line up blackberry-infused sake shots. 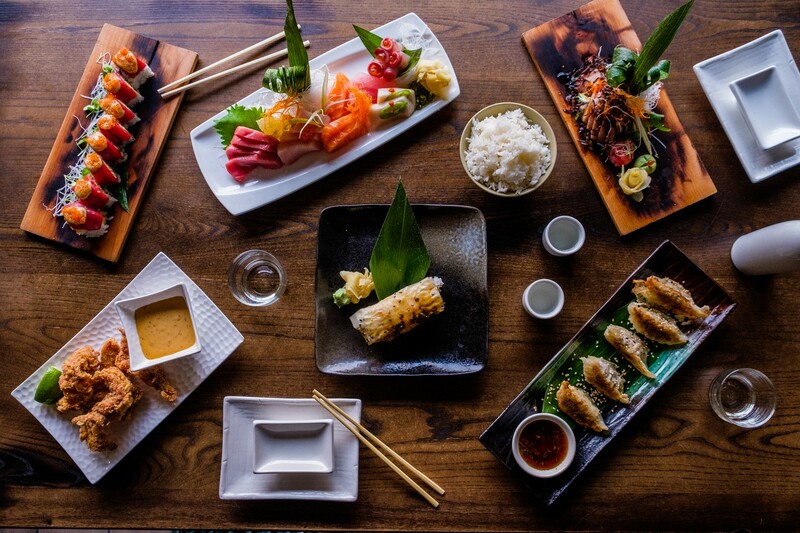 The menu offers an array of sushi and sashimi ($2 to $4.50), and playful oddities like the Philly roll ($4), with salmon and cream cheese, and the Flying Kamikazi roll ($9.50), an elaborate assemblage of spicy tuna, asparagus, scallions and ponzu, a Japanese citrus sauce. Kiyoshi Hayakawa, Ace Wasabi chef, who was born in Tokyo, has also created East-meets-West-Coast salads, including soba noodles with julienned vegetables and baby greens ($5.25) or tiger shrimp with spinach noodles and peanut sauce ($6.95). Mr. Lowe, who grew up tending the till at his parents’ grocery store in nearby Salinas, Calif., said the idea for an upbeat, whimsical sushi bar came to him while he was toiling as a medical supplies salesman. 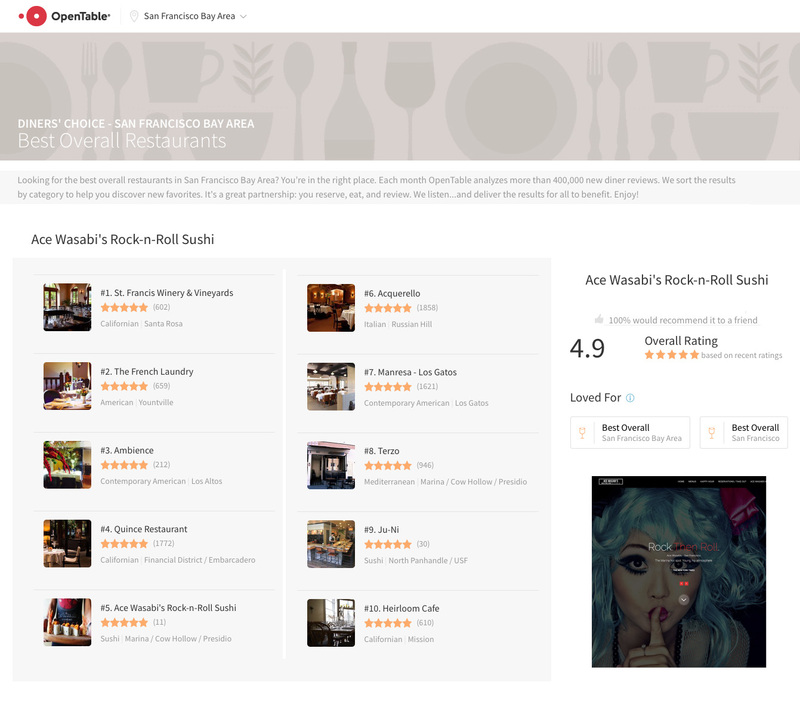 Ace Wasabi Rock ‘n’ Roll Sushi is at 3339 Steiner Street, just north of Lombard Street; (415) 567-4903; (the Internet address is www.kpix.com). The restaurant is open Monday through Thursday from 5:30 to 10:30 P.M., Friday and Saturday from 5:30 to 11 P.M. and Sunday from 5 to 10 P.M.
We Get A Whole Lotta Love!